Do you like retro anime? The Anime Video Archive is a collection of great anime classics mainly from the early 90s. You will find some rare gems here! Watch the trailer below to see clips from most of the anime featured here. Watch 34 anime movie classics! Watch 17 anime series classics! Browse all the anime in this site in categorized lists. So you've stumbled across yet another anime streaming site. What's so special about this one? Ah, what indeed. I use HTML5 video (mp4). That means these videos will play on pretty much anything. Any OS, any mobile device, any TV, any set-top box (Roku, Apple TV, Amazon Fire, etc. ), and modern video game systems. As for video quality, I offer high quality (equivalent to 480p) and low quality (equivalent to 360p) versions. The layout of this site is responsive, so if you're on a tablet or smartphone it will rearrange itself to a mobile friendly layout. Streaming is not the only thing I offer. 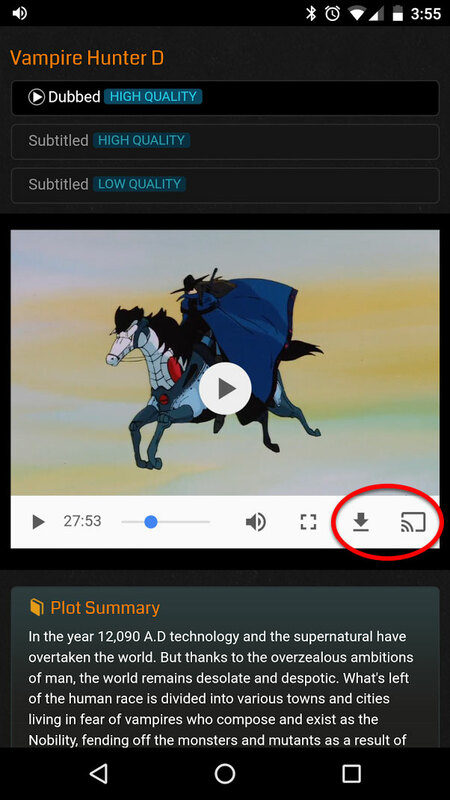 Each anime has a screen shot gallery. Some anime have downloadable OST soundtracks, manga, and behind-the-scenes videos. Videos can be directly downloaded! No other anime streaming site allows you to that! There are NO ADS! Every other anime streaming site is flooded with ads. Not here :) I am providing a free service out of the genuine interest of sharing with you the classic anime I love. I like to think of this site as lending you my old DVDs. As for the selection of the anime I have chosen for this site, it is primarily classics from the late 80s and early 90s. 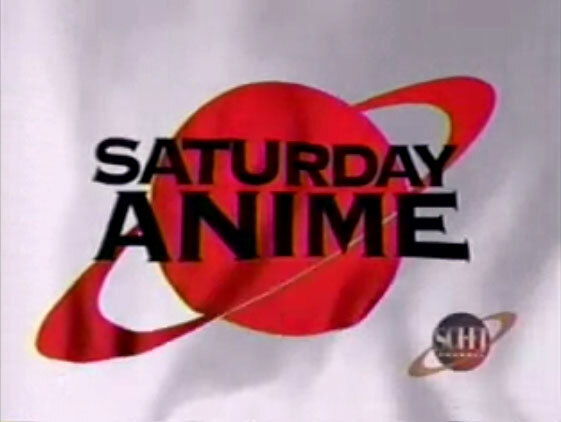 In a sense, this site is dedicated to a segment that once played on the Sci-fi channel called Saturday Anime. Every Saturday they would play an anime movie. It had these demos when it went to commercial breaks. Most of the anime featured in this site are favorites of mine from Saturday Anime. They're special to me because they're some of the first anime movies I've ever seen. A couple of these movies are specials that were never released outside of Japan (i.e. Wizardry, Ninja Gaiden). Others are newer but were included because they're based on an RPG that had been shrined in my FantasyAnime.com (i.e. Final Fantasy VII: Last Order, Chrono Trigger OVA). And if you didn't notice, this site is a subsite of FantasyAnime.com (hence the FantasyAnime navigation in the footer). I consder this the official anime section. This anime attracts the most visitors. They have developed a popular reputation since their official NA release in the 90s (except FF7; it's not old). This anime is being watched the longest. They are the site's most interesting anime since people are sticking around to watch the whole thing. The anime people want to keep forever. They may not be the most popular or most engaging, but the people who do like it really like it. Here's the 2018 update! I've added 3 award-winning anime classics: Robot Carnival, Neo Tokyo, and Millennium Actress. Additionally, I've added the site's first Japanese live action movie: Parasite Eve. It's based on the novel by the same title, which Parasite Eve on the PlayStation 1 is based on.